My name is Jessica*. I live in Katanga and I am 17. I live with my elder sister because my father died 12 years back and my mother runs a small kiosk deep in the village therefore she couldn’t cater for my basic needs due to low earnings. I am a mother of one son in the above photograph, I became pregnant in primary 7 and before completing my primary leaving exams I had to drop out of school due to stigma from fellow classmates and school staff. The father to my son is a senior four student in a village in western Uganda and since he’s a student I do not get any help from him or his family. My sister who works as a waitress in a local bar is the only one who tries to provide some basic needs but due to her poorly paid earnings my son doesn’t eat the required diet like other children; my son eats anything available in order to survive. While in Katanga my neighbor, a pupil at CLC, informed me about hope for life Katanga and she took me to the hope for life office and due to my situation I was immediately recruited and I was taken to their Creative Learning Center at Kampala Baptist since I loved studying, I have got to walk approx. 2km every day to go to the CLC class, I walk there with other girls from Katanga, there are about 13 of us who walk to Kampala Baptist church. I love this organization because it has taught us how to read and write and my teachers are so nice because they like us so much and are always ready to teach us. I am so happy because I have managed to meet fellow children with the same problem like mine they are friendly and very willing to study. 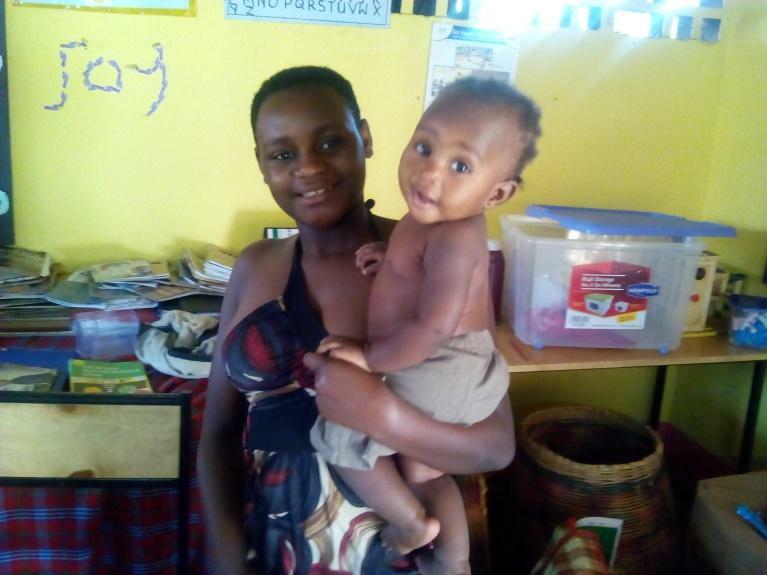 Jessica and the other girls in the CLC are now looking for sponsors to take them to a school in the city, for £20/month, to further their education. If you are interested in sponsoring a child with us then send us an email at hopeforlifekatanga@gmail.com. * We have changed names and edited the written story for child protection reasons, otherwise the story was either written by Jessica or transcribed by one of our social workers.